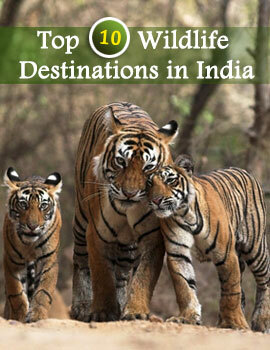 One of the beautiful wildlife resorts is Tiger Corridor, Bandhavgarh in Madhya Pradesh. Nestled amidst the beautiful acres of greenery, the Tiger Corridor, Bandhavgarh is a luxury tent resort. The Tiger Corridor Resort gives you the feeling you are camping inside the premises of the forests. Enjoy the sprawling acres of greenery and the beautiful flora and fauna during your stay in Tiger Corridor Bandhavgarh. Spend a few days in its spacious well furnished and well equipped rooms of Tiger Corridor and enjoy the perfect vacation. The resort has well appointed rooms which are quite well equipped. Set beside a beautiful natural lake, the Tiger Corridor Resort of Bandhavgarh offers to the guests complete serenity in the lap of nature. The eco friendly ambience of the resort makes it the comfort hub of the tourists.